Starting your Minneapolis remodeling project? Before you finish your plans and hire your Minneapolis home remodelers, come visit New Windows for America at the Blaine Home Improvement & Design Expo! This fantastic event will give you the opportunity to check out some of the latest products, services, and information available, while offering a chance to get expert advice and ideas! Best of all, New Windows for America will be there to answer all of your questions about the products and services we offer. Say Hello to Our Minneapolis Remodelers! Our Minneapolis remodelers at New Windows for America are excited to meet you at our expo booth. When you stop by to say hello, we’ll tell you about our trusted, top-quality replacement windows and doors, durable residential siding, innovative new metal roofing and our customer-centric service. Get a first-hand look at our innovative products and stunning designs in our exhibit, and pick up a few free design tips while you’re at it. As a premiere choice for Minneapolis remodeling, we offer industry-leading solutions and services at affordable prices. Come meet our friendly team and learn more about how we can improve your home. 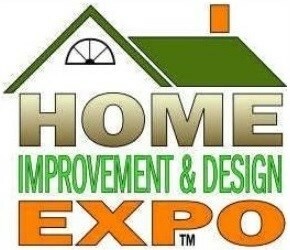 A Can’t-Miss Home Remodeling Event!